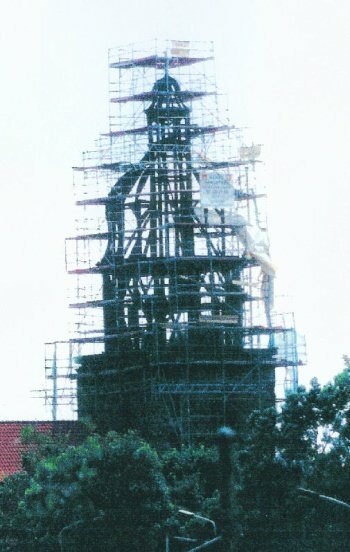 As part of the 1997 renovation of the bell tower and the replacement of rotten lumber by new beams, we also refurbished the golden pinnacle on top of our church. 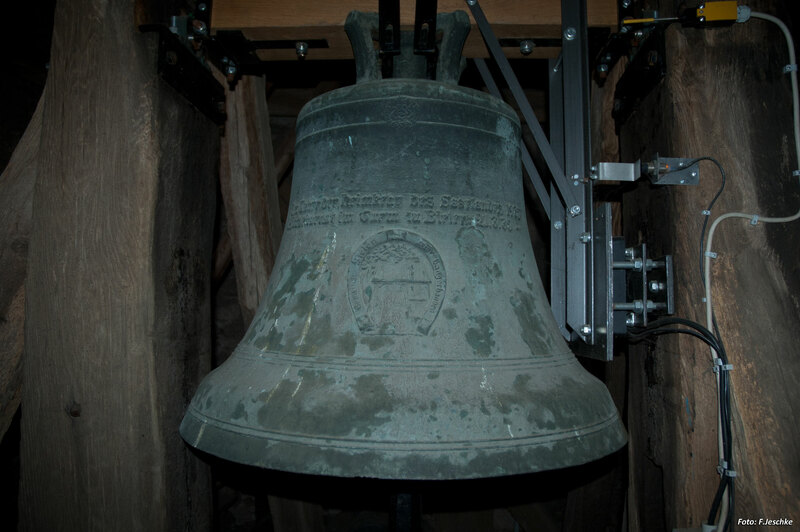 The pinnacle was gold-plated, refilled with historic documents and set back on top of our bell tower. 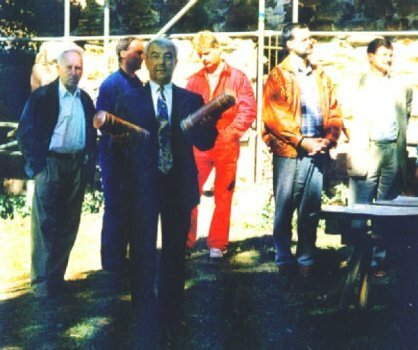 Our Pastor Gerstenberger filled two capsules, one with historical documents from 1968, including some aluminum money coined in the GDR, and the other with "hard currency" - the money of Western Germany and of the reunified Germany. 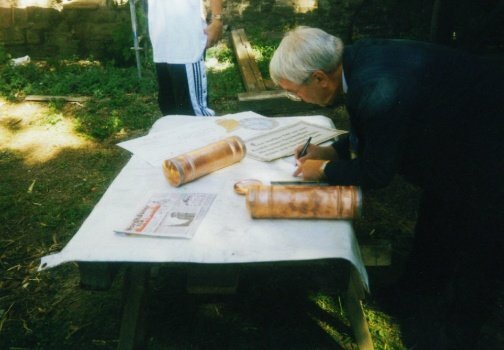 Also he added newspapers, pictures and other historical documents. 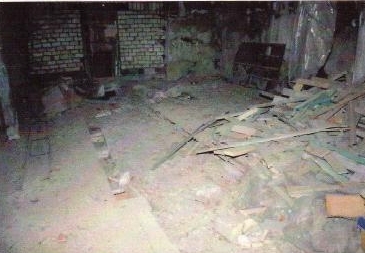 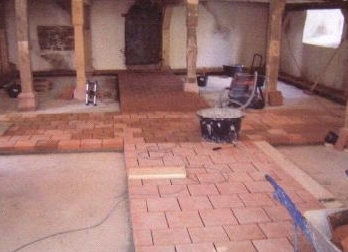 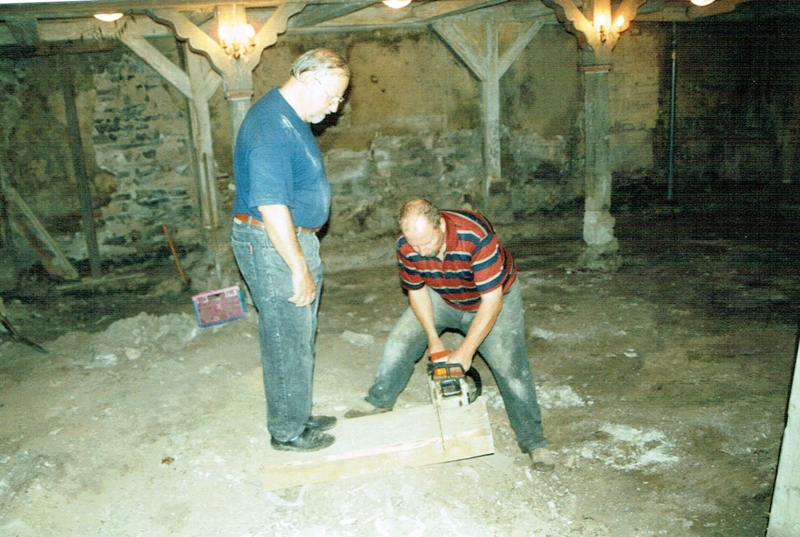 On July 14 2006 all work was done and the floor was delived in a ceremonial service. 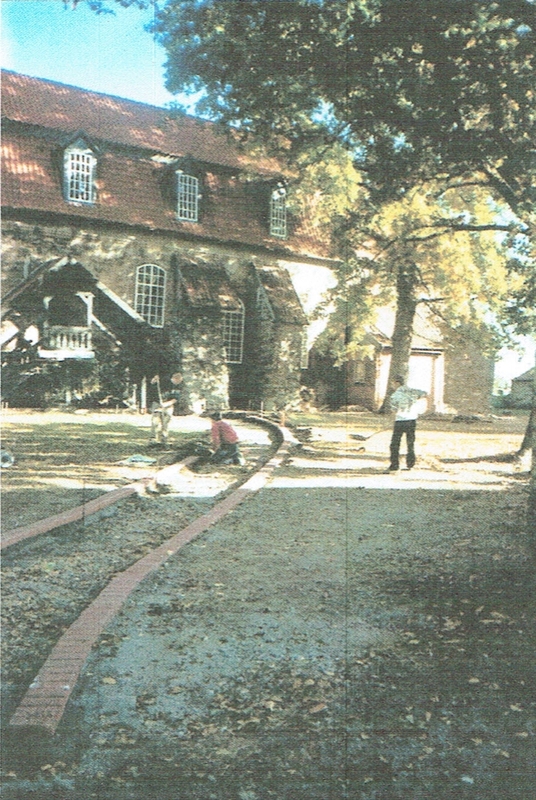 Since no pathways led to the doors of our church, we wanted to design and built an appealing access. 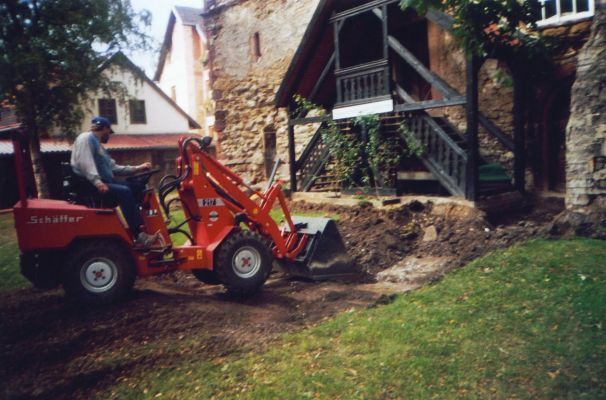 In the progress we excavated, laid a gravel bed, installed cables for electric street lamps and laid flagging. 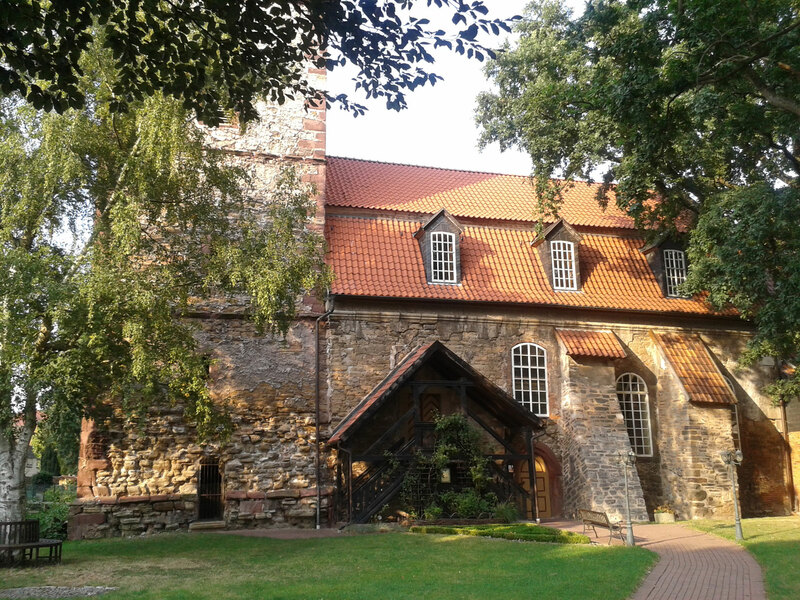 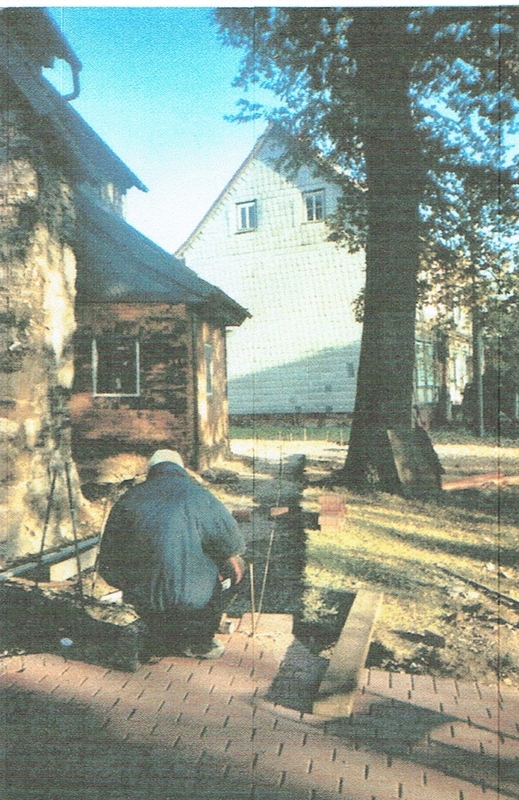 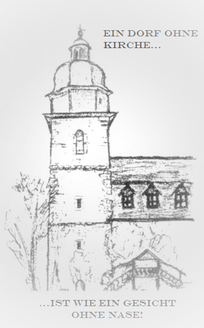 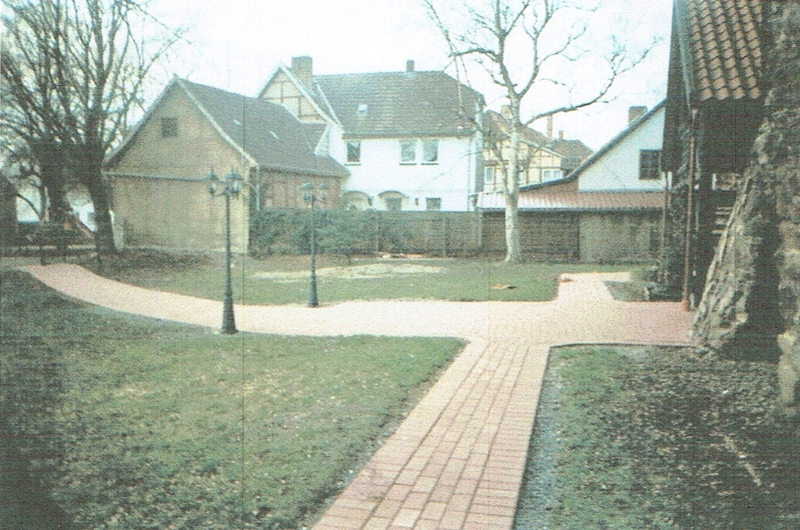 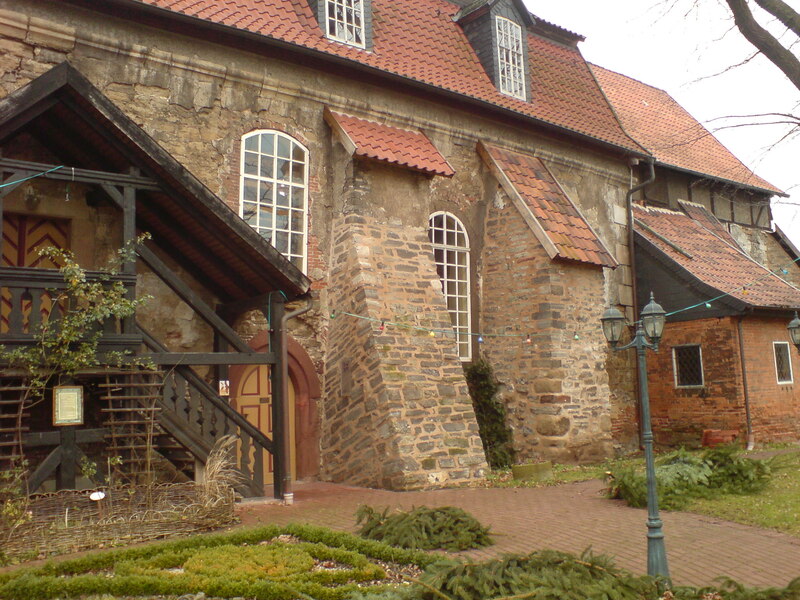 Thus we connected the main entry of the church's park with the main entrance, the registry with the parsonage and the main entrance with the bell tower. 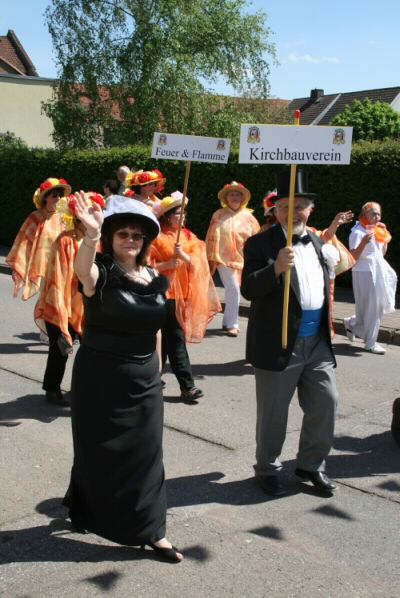 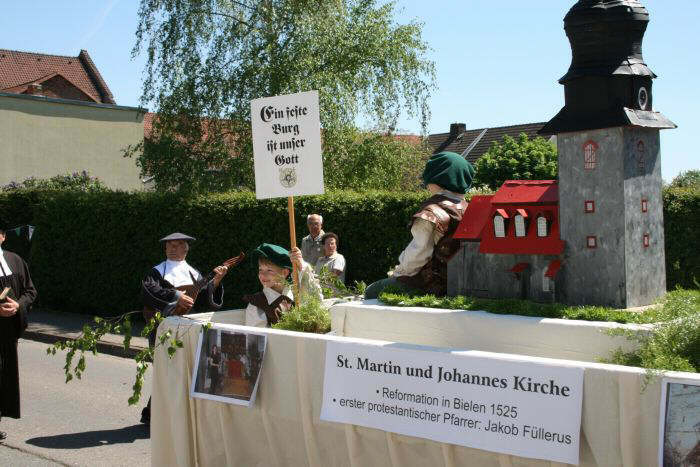 2008 was a special year for our community, since we celebrated Bielens 850th birthday. 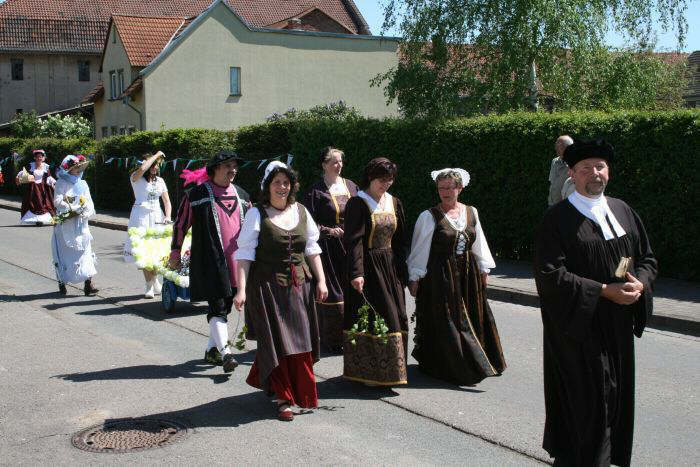 A number of events took place from April 30 throughh May 12 2008. 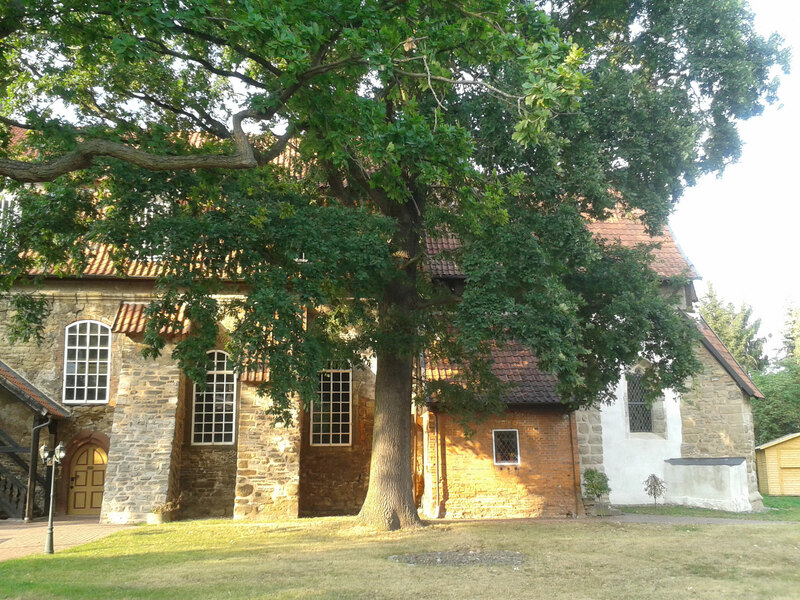 Highlights were, beside others, the opening sermon, a theater presentation of Bielens history, a Choir Concert and a medieval fair, including bonfires, music, wine and great conversation. 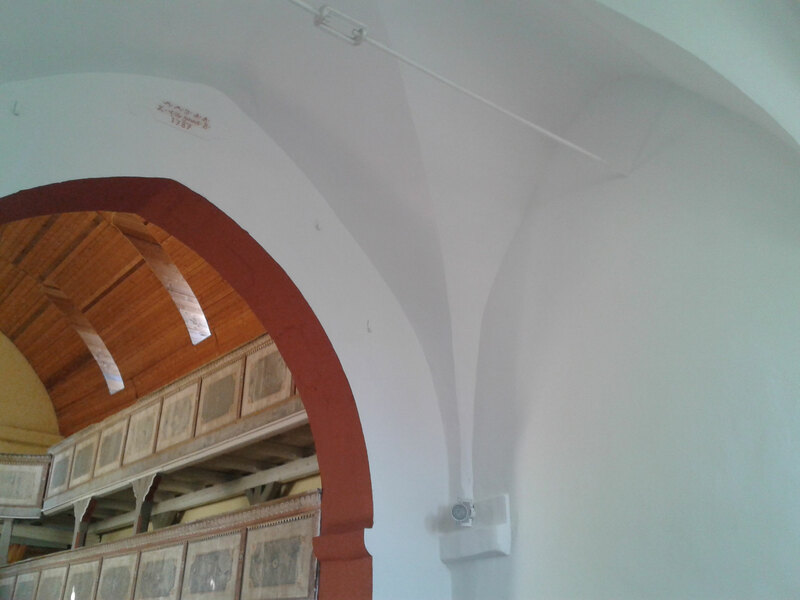 All visitors were impressed by the progress that has already been made. 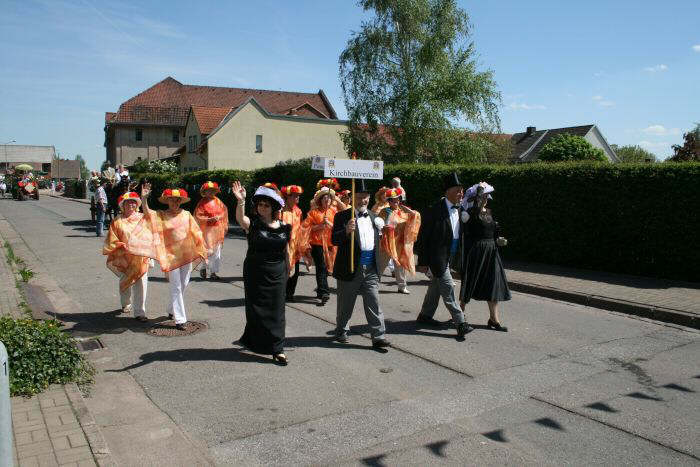 Another highlight was the festive pageant on Whit Sunday. 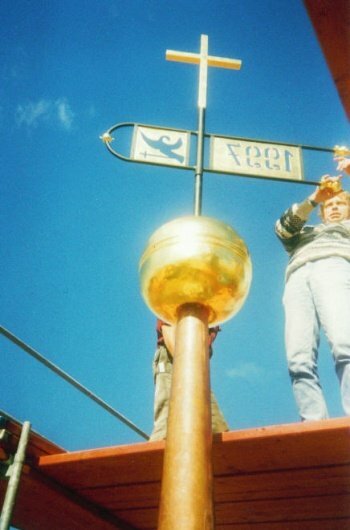 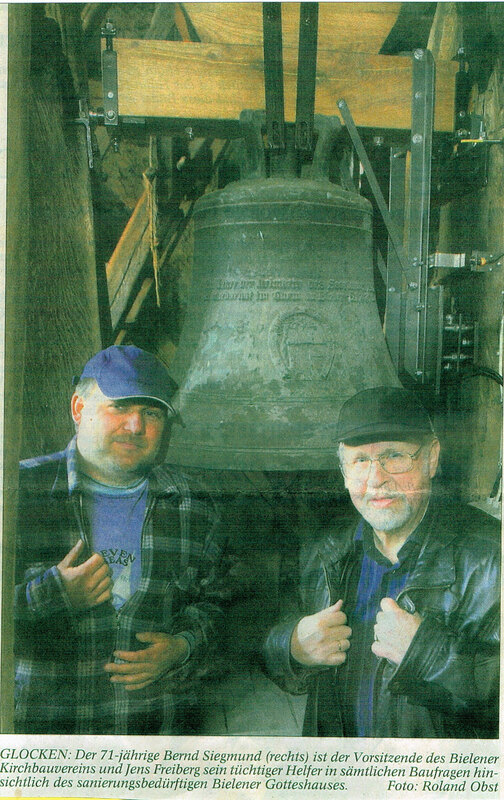 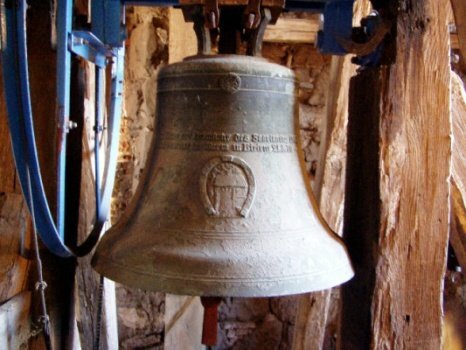 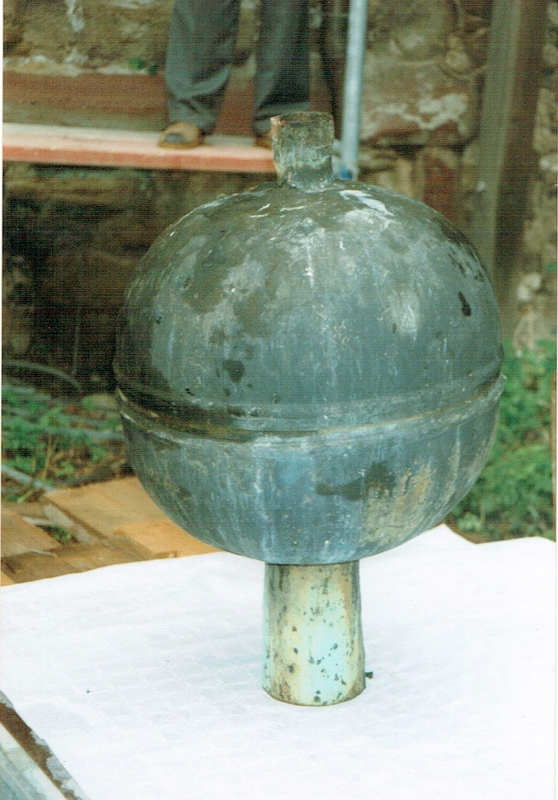 One of the most important projects of 2009 was the renewal of the bell mounting. 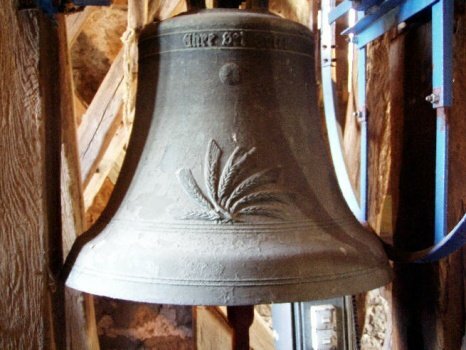 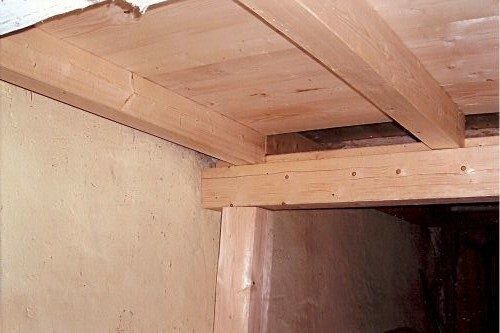 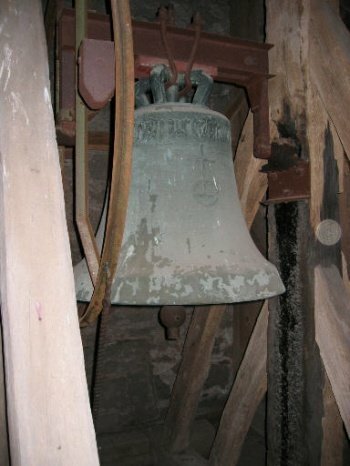 We replaced dilapidated wooden beams and had an electrical controll installed, so both our remaining bells can be rung. 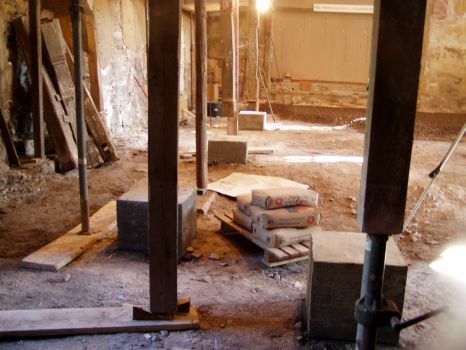 Thanks to numerous donations this project could be finished in the spring of 2010. 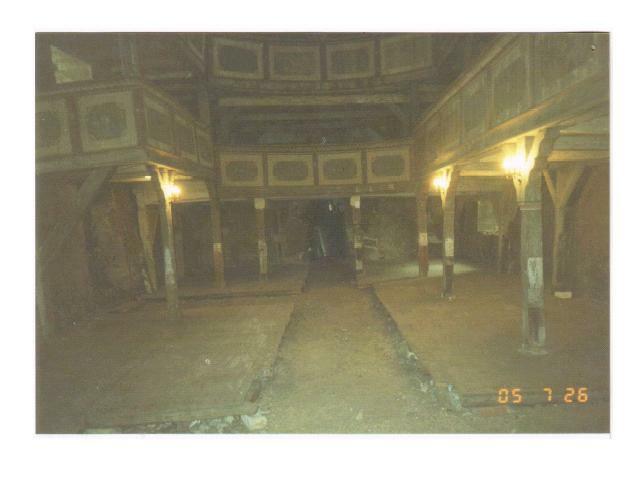 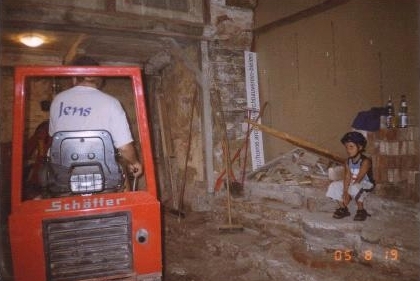 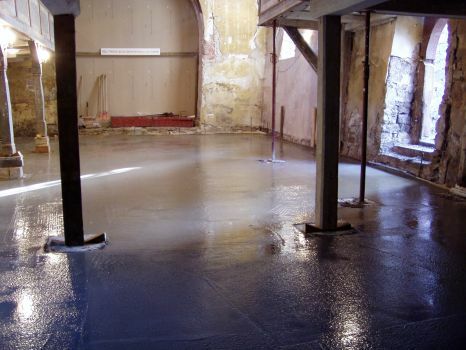 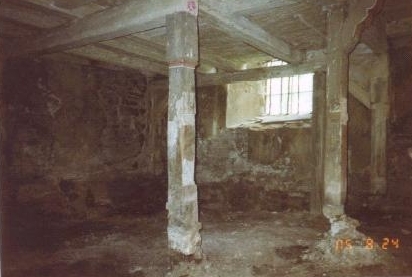 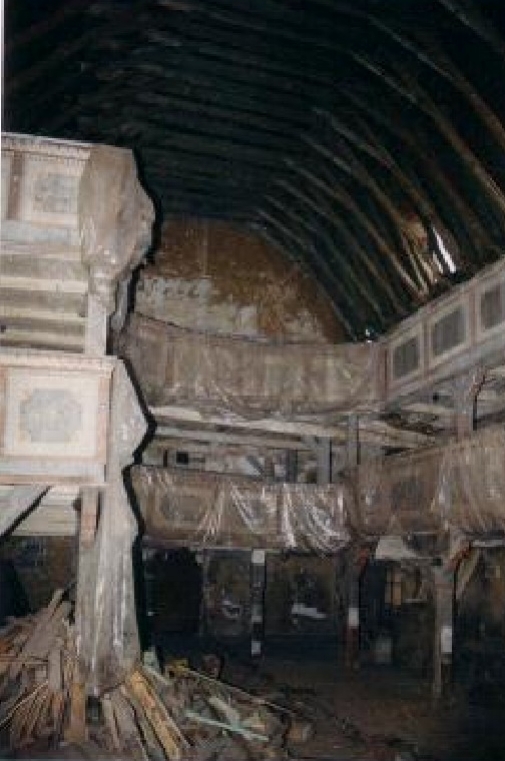 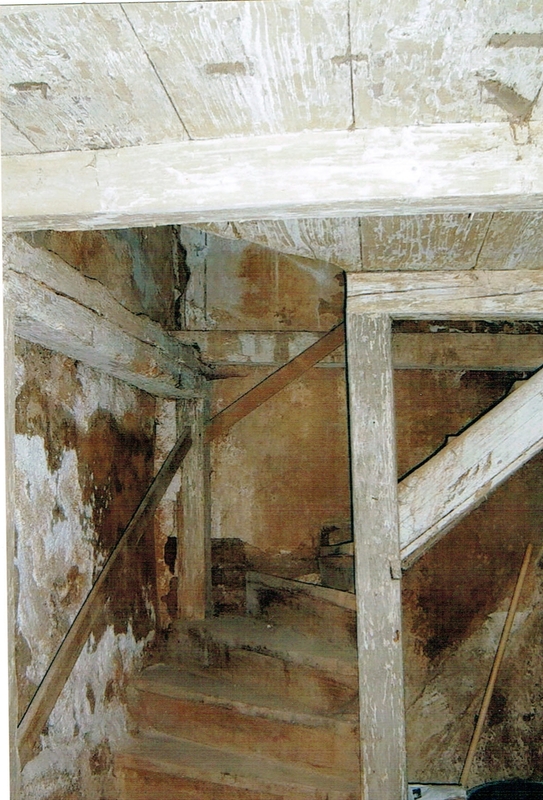 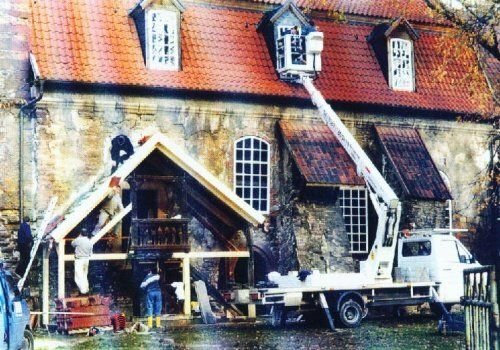 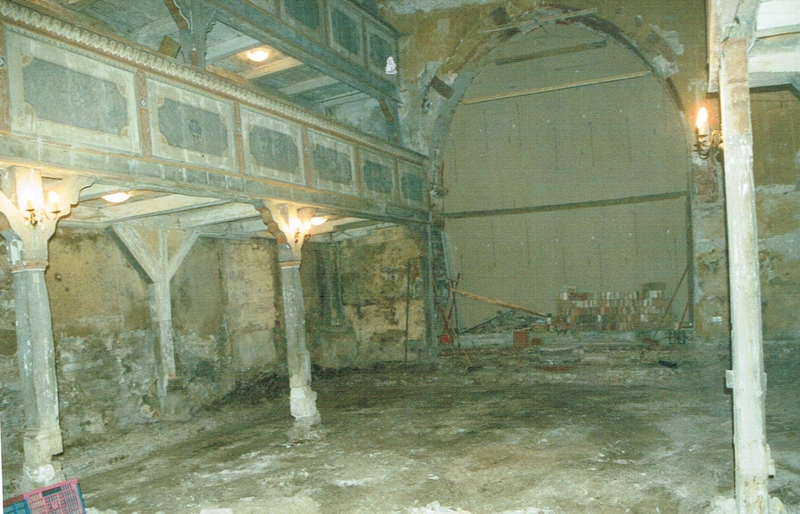 For years it was impossible to use our two-leveled galleries, since the leaking roof led to moisture and destruction in the wooden construction. 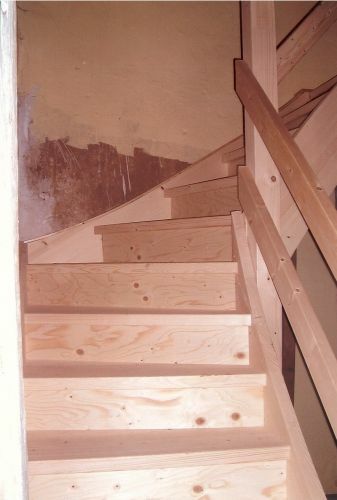 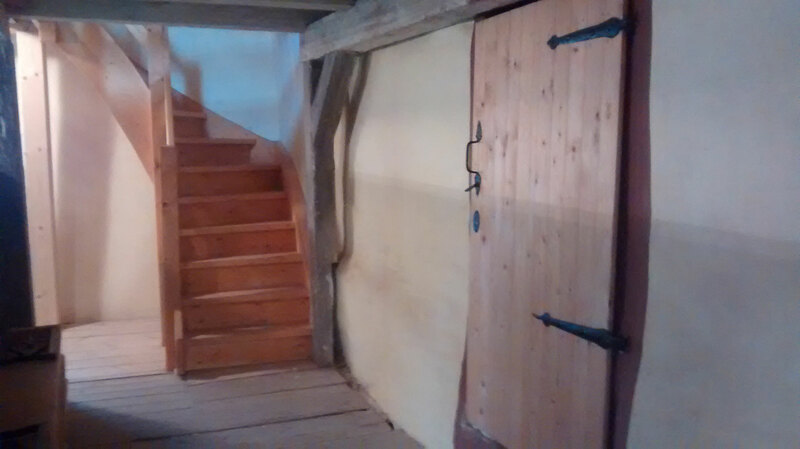 With the support of the company "Holzbau Kratzing" we were able to repair, replace and remodel wooden floors and staircases. 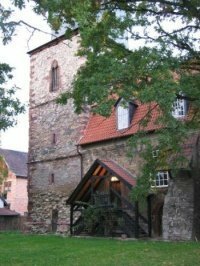 Since 2016 it is finally safe again to use the gallery. 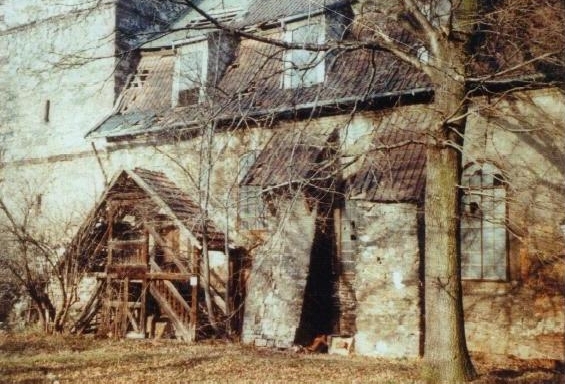 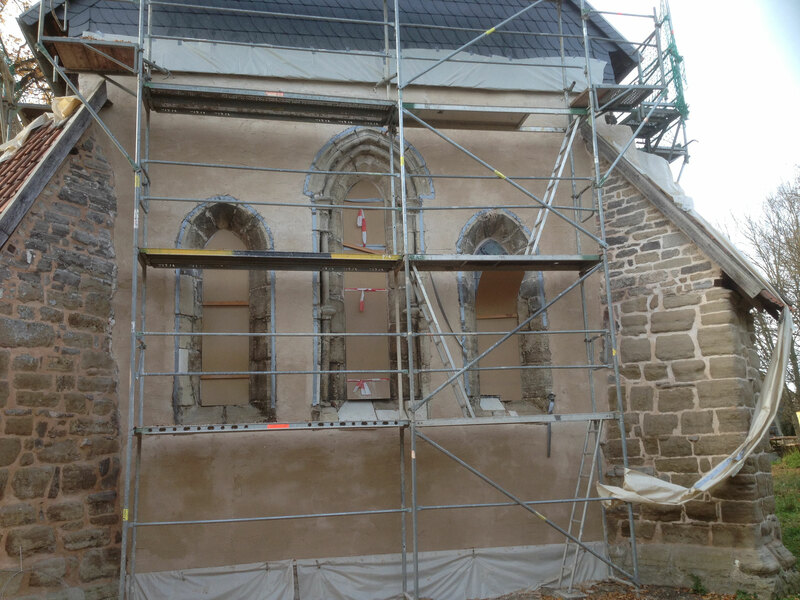 Restoring the buttresses is extremly important in order to maintain the stability of the all the walls and thus for our church as a whole. 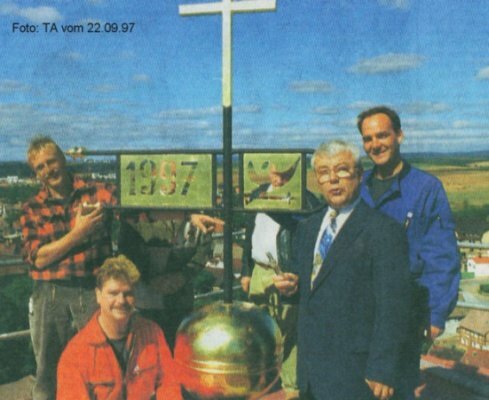 In 2012 we received some lottery money from the state of Thuringia for this project, but it showed that the estimated cost will not be sufficient to take the necessary actions. 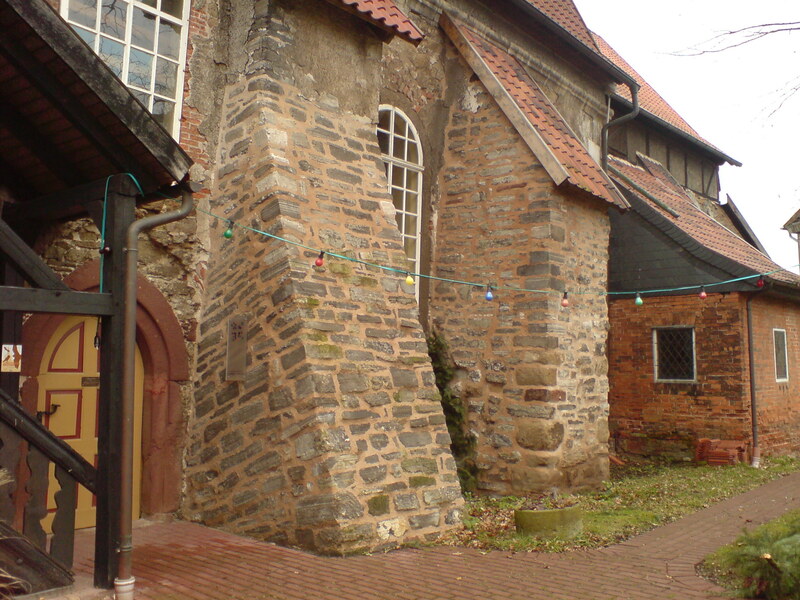 More financial support was received from the regional church administration office and our organization. 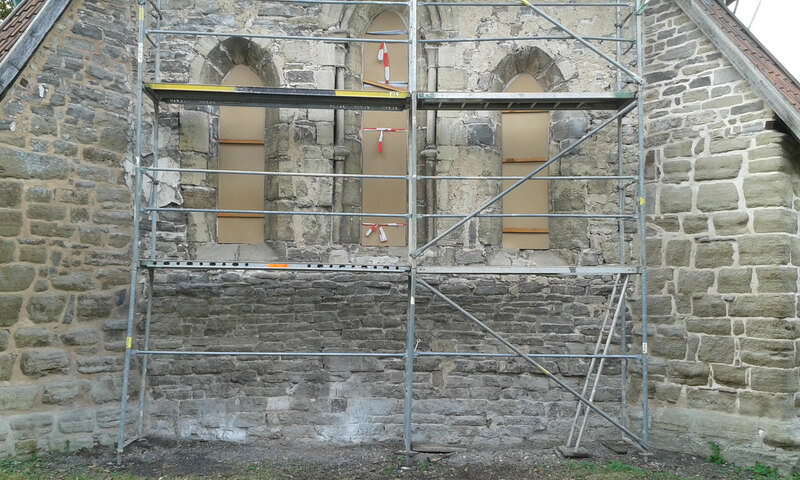 We are very happy about those two buttresses being restored and stabilized, but there are still more on the north side that need fixing. 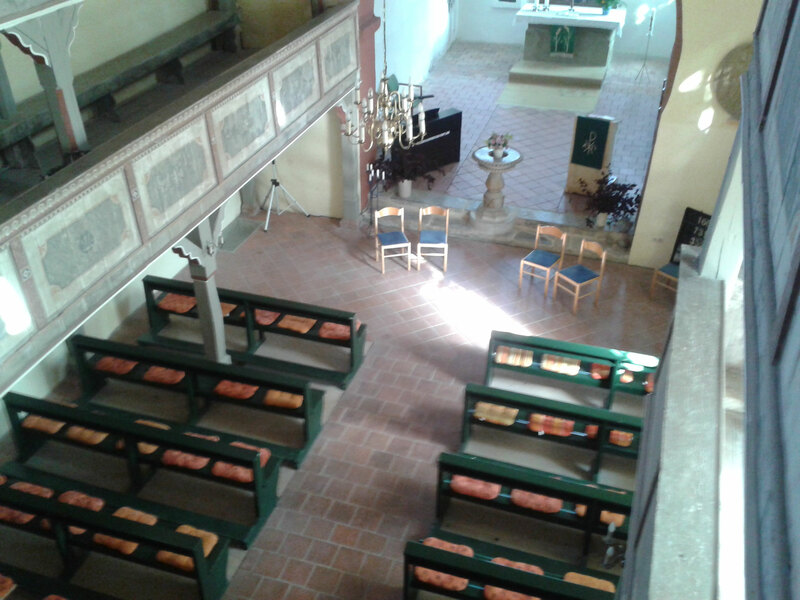 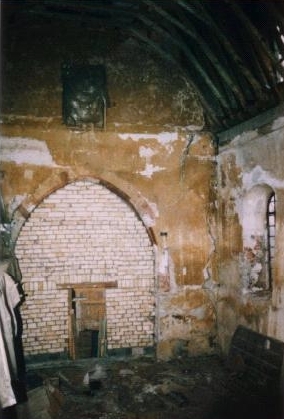 The chancel and the altar room with its groined vault ceiling are presumably the oldest parts of our church and feature parallels to the Nordhäuser cathedral, thus indicating an origin in the 13th century. 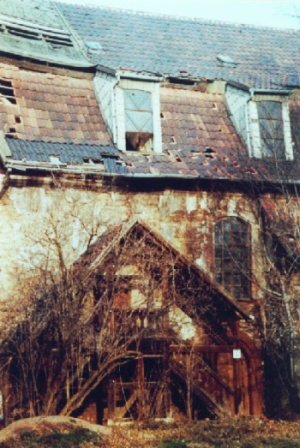 Cracks in the walls, loose bricks, and the impact the weather had on these damaged the eastern gable wall significantly. 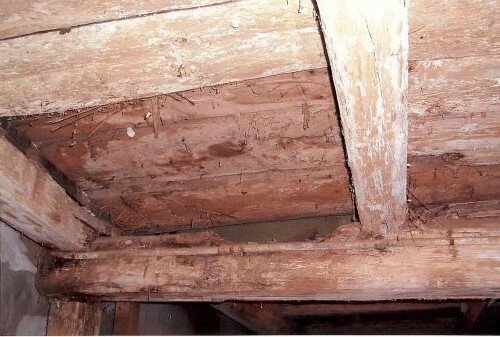 According to an estimate, we needed more than 80,000 € to start the restoration, and this seemed impossible. 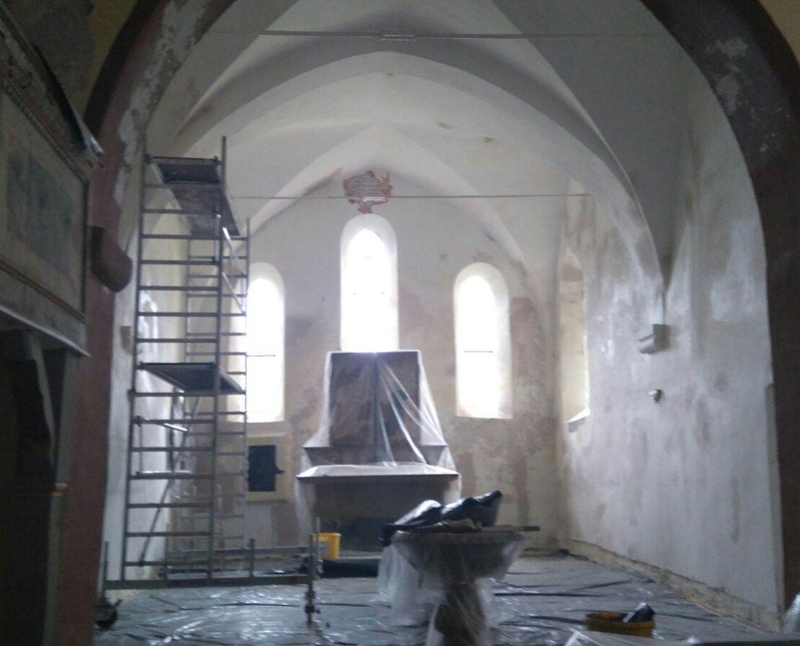 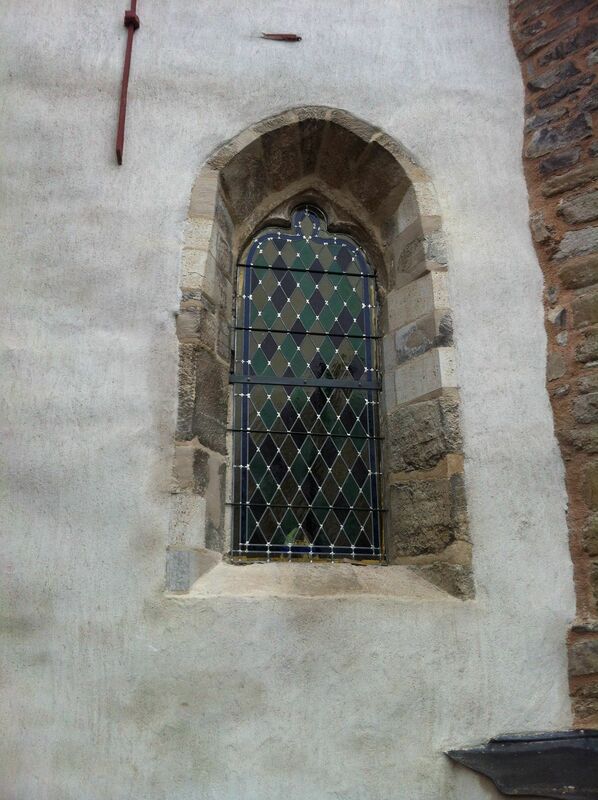 But we didn't give up and with the support of a lot of private donations and financial support from various public trusts and charitable foundations we could finally restore the gable wall in 2015 and safe it from further decay. 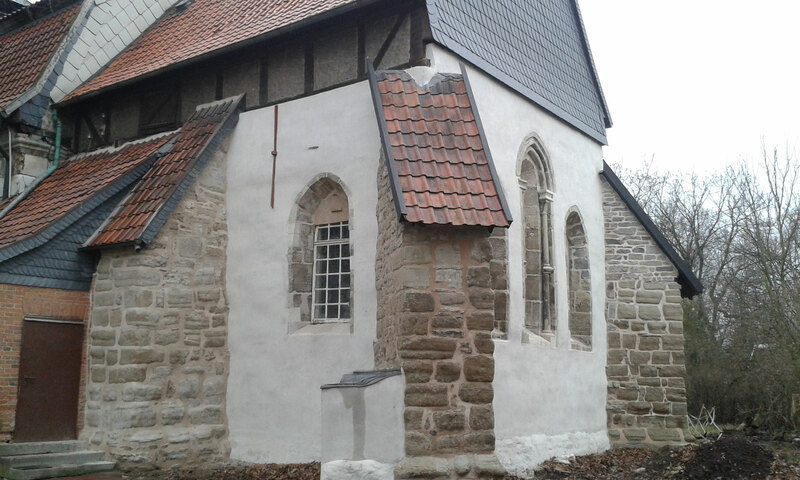 The results are quite respectable and also demonstrate that the remaining sides of the church walls and the bell tower walls need attention, too.